Audi has launched a new BiTDI engine in the A7 Sportback and A6 range. The 3.0 TDI unit is the most powerful production diesel ever made my Audi with 313PS and an impressive 650Nm of torque. It's available to order now with prices starting at £43,810 on the road for the A6 saloon while the A7 Sportback version is £51,645. 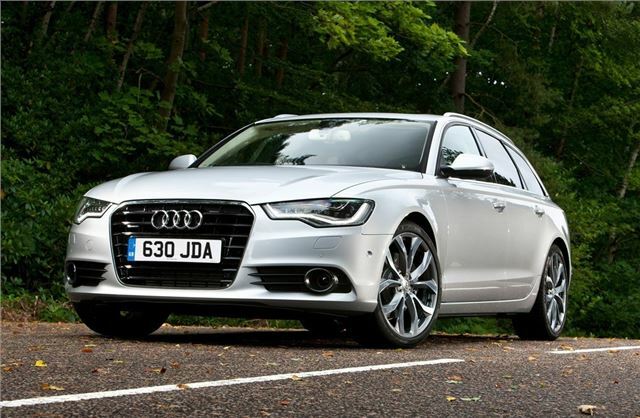 The new diesel will also feature in the forthcoming Audi A6 Allroad which goes on sale in February. The V6 engine is fitted with a two-stage turbocharger that delivers a maximum boost pressure of up to 3.2 bar, giving the A6 saloon a 0-62mph time of just 5.1 seconds, while the A6 Avant and A7 Sportback are a smidge slower, taking 5.3 seconds. All models are electronically limited to 155mph. Like the existing TDI engines, the new unit gets start-stop and recuperation systems along with an innovative thermal management system that quickly brings the coolant and oil up to their operating temperatures. These help efficiency with all models returning a claimed average 44.1mpg, an impressive figure considering the performance on offer. CO2 emissions are 169g/km which is VED band H, currently £190 a year. Audi has worked to make the BiTDI engine sound good too and it features a sound actuator which consists of a speaker which apparently 'imposes a defined oscillation pattern on the exhaust flow' (no idea either) and transforms the typical TDI exhaust note into more of a roar. The idea is that is sounds like a high-performance petrol engine. We've driven this engine in an A6 and it certainly sounds suitably deep and sporty. The BiTDI gets an eight-speed tiptronic transmission as well as the latest generation quattro all-wheel-drive system, which features a self-locking centre differential and torque vectoring for optimum traction and stability. A sport differential which distributes power in continuously variable proportions between the rear wheels is available as an option.